Whether a direct report, a manager, a colleague, a friend or a partner, giving constructive feedback is a crucial element of our relationships. determines how it is received. I moderate constructive feedback sessions for teams and their leaders, and some patterns prove to be more effective than others. 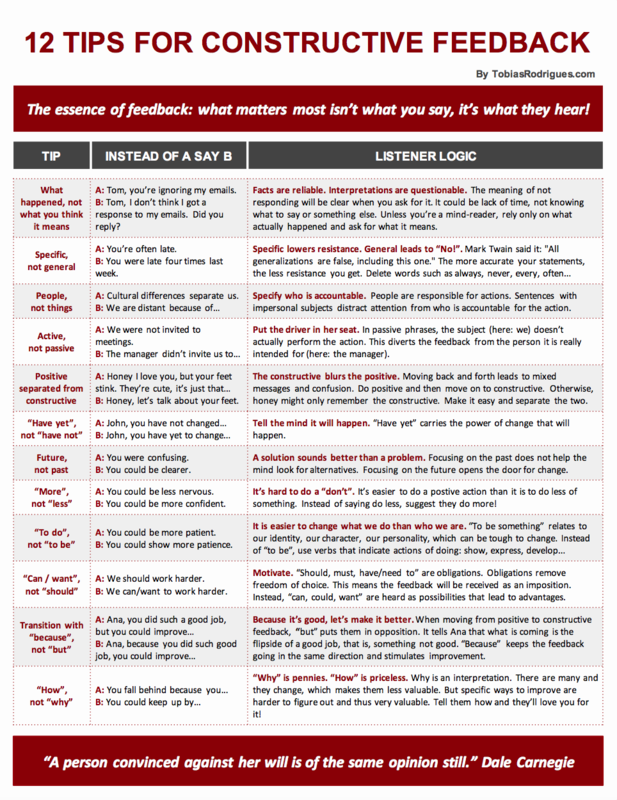 Here’s a set of keys that unlock the doors for constructive feedback to be well received. Download and discuss them with those you give feedback to. isn’t what you say, it’s what they hear. So by all means, I’d love to hear your constructive feedback.